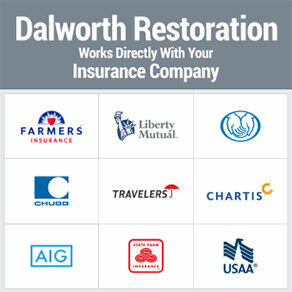 When fire, flood or storm damage occurs to your North Texas residential or commercial property, contact Dalworth Restoration—a restoration company you can trust to get the job done professionally and efficiently, to your expectations, satisfaction guaranteed. Our professionally trained technicians are certified through the Institute of Inspection Cleaning and Restoration Certification (IICRC) and are dedicated to serving our customers, making Dalworth a household name. Customers and insurance companies prefer Dalworth Restoration and clean-up services based on our reputation and satisfaction guarantee. Dalworth Restoration is family owned and operated as part of the Dalworth Companies and has been servicing North Texas since 1976. 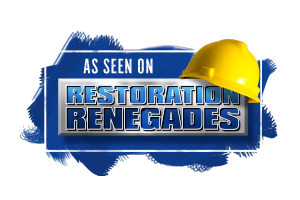 Since 1989, we have been a leader in Water Damage Restoration and Fire Damage Restoration services and our high level of customer care, standard of service, and professionally certified crews set us apart from the competition. Dalworth Restoration is a fully licensed general contractor and construction company based in Euless, Texas and services the Dallas/Fort Worth & North Texas area. Dalworth Restoration Crews are On-Call 24/7 for Your Restoration Emergencies. Contact us anytime, day or night, at 817-203-2944 to restore your flooded or fire damaged home or office. Our friendly operators are standing by to take your call. Enhancing our services and providing value to our customers is our top priority at Dalworth Restoration. We pride ourselves in our expertise servicing residential and commercial water, fire, storm and smoke restoration, and mold remediation. restoration services for a more comfortable, safe and energy efficient residential or commercial property. 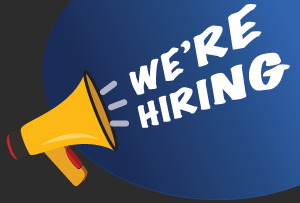 We serve Dallas, Fort Worth, Arlington, Grapevine, Plano, Irving, Garland, Grand Prairie, Richardson, McKinney, Frisco and surrounding cities in the North Texas area. Dalworth Restoration is an integral part of the Dalworth Group, providing a variety of high-quality services to commercial and residential property owners in Dallas/Fort Worth and the North Texas area since 1976. Dalworth Companies offers nearly 40 years of experience in award-winning services.